See the Pen Closet Point on a Line by Zevan Rosser (@ZevanRosser) on CodePen. See the Pen pJZdav by Zevan Rosser (@ZevanRosser) on CodePen. I ended up forking canvg for various cases. canvg is really cool… just a note, a coworker of mine went in at some point and optimized it like crazy and improved the perf a good deal by “drying things up”. Maybe I’ll suggest that he submit his optimizations at some point. This is a quick example showing how to give an input field “memory”. After you type something once and hit return it will be stored in `localStorage`. String values are ranked based on how often they are selected/entered. I know people don’t like jQuery these days, seems this pen is from a time when I still used it. See the Pen Predictor Smarty by Zevan Rosser (@ZevanRosser) on CodePen. There’s definitely room for improvement here - but the key features are covered. See the Pen Quick Line by Zevan Rosser (@ZevanRosser) on CodePen. This works by using a div with a border, rotating it and scaling it as needed so it fits between two arbitrary points. framebased things like this. If I were to try and make this code more dynamic, I would probably switch out to `requestAnimationFrame`. If you try and connect two lines together - you’ll notice some inaccuracy - a good argument for using SVG or canvas over something like this. That said, if you are connecting two elements using a single line, this inaccuracy would become irrelevant. See the Pen Color Breeder by Zevan Rosser (@ZevanRosser) on CodePen. This is a speed coded pen from awhile back - the features object is interesting - it allows two objects to be bred together. In this case two colors. I could see this is as part of some advanced/abstract colorpicker that allows the user to home in on a color. See the Pen Inline Svg ES6 Template Literal by Zevan Rosser (@ZevanRosser) on CodePen. 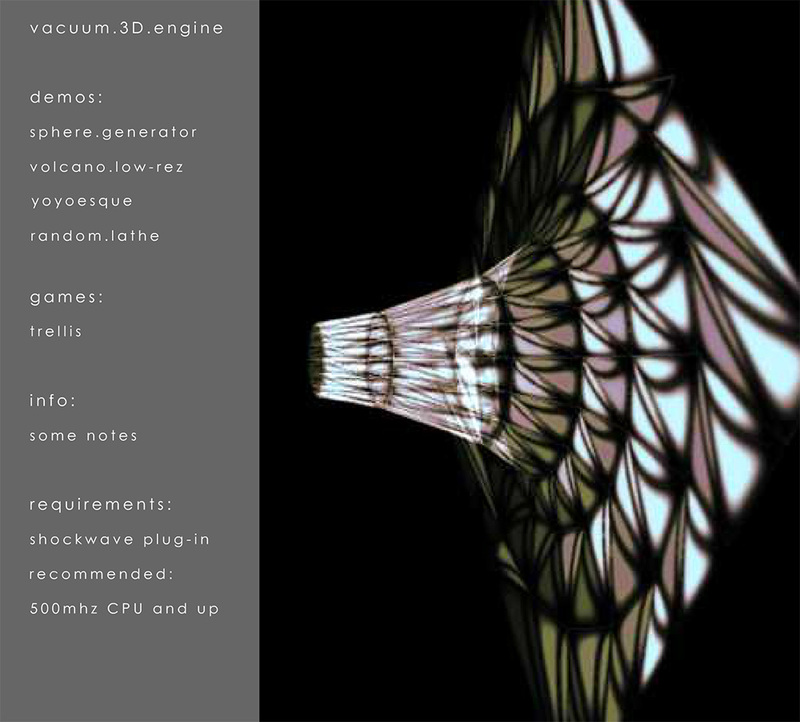 Many years ago when I had just started programming I found this absolute gem by Andries Odendaal. See the Pen Nonsense Clocks w Color by Zevan Rosser (@ZevanRosser) on CodePen. See the Pen Nonsense Clocks by Zevan Rosser (@ZevanRosser) on CodePen. You’ll notice in that source, that I nested the equation to allow for local and global transformations. It was around that time that I learned the ins and outs of real 2D and 3D matrix transformation math… Ken Perlin’s classfiles from NYU were a real help when I was learning that stuff. I don’t think this was the exact file I was working with, but it was definitely on his site somewhere. Around 2015 I had the idea for a PRNG that would clamp itself and have moments of “smoothness”. 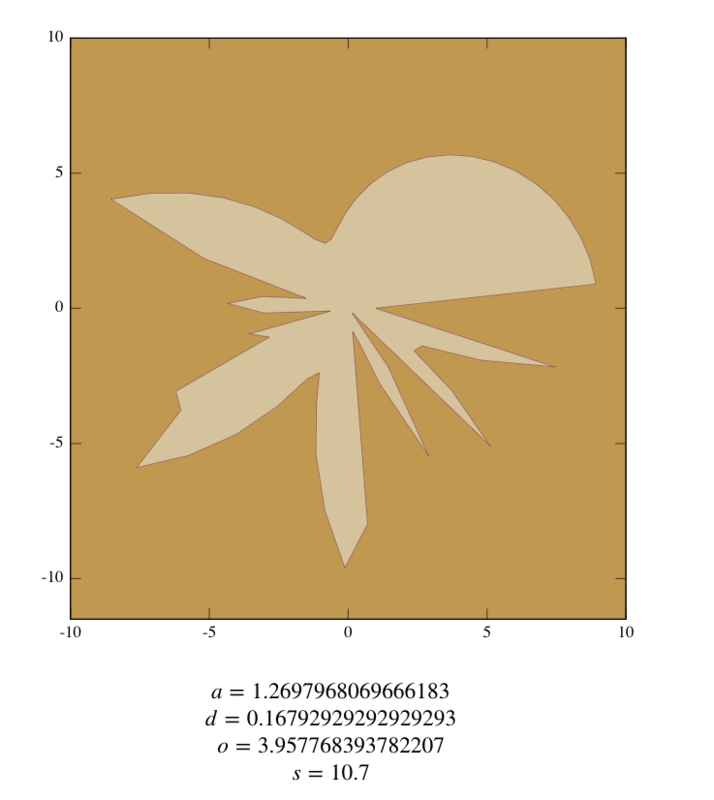 When I got around to trying to create such a thing, the result was something I jokingly called the “Hermit Crab Curve”. I also called it the “Shard Curve”. 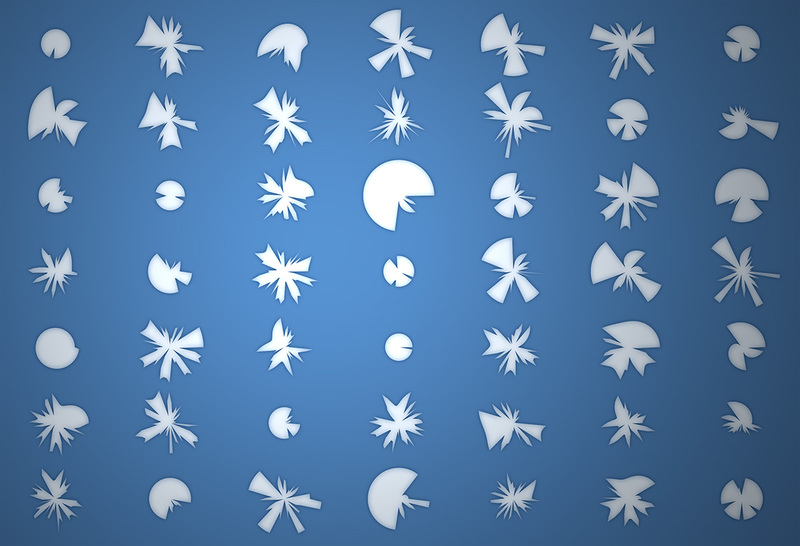 See the Pen Hermit Crab Curve by Zevan Rosser (@ZevanRosser) on CodePen. That, in combination with the information from my other article from yesterday… Should be enough to see what I mean. 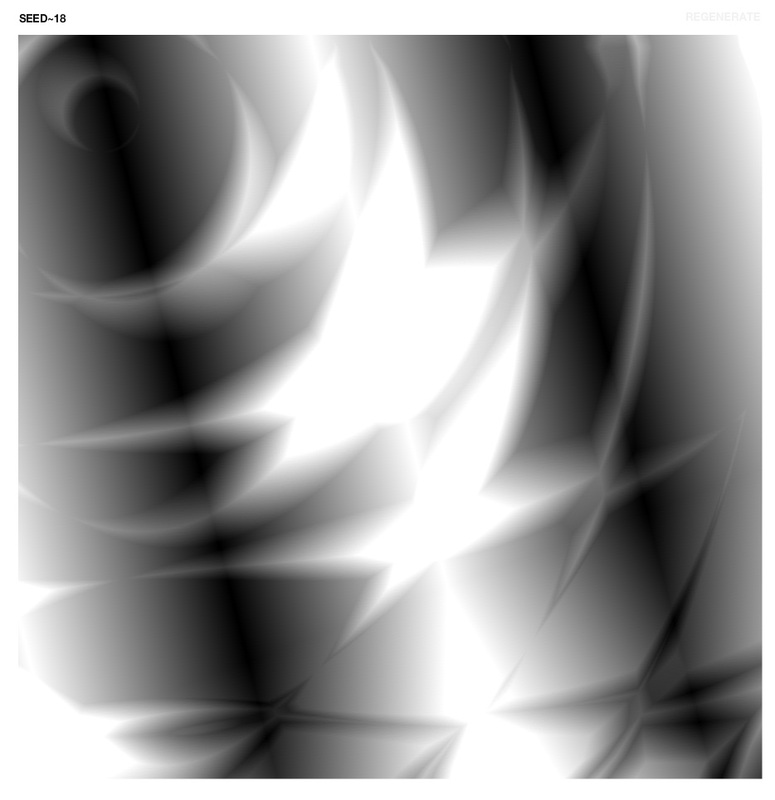 See the Pen PPRng Sine w Rendering by Zevan Rosser (@ZevanRosser) on CodePen. Over the years I’ve used all manner of famous random number generators. From Tausworthe to Mersenne Twister. Sometime last year I was trying to find a seeded PRNG, when working in Objective-C `arc4random` seems to be the common choice. I quickly became frustrated however as it didn’t seem possible or at least didn’t seem easy at all to reset the sequence of numbers. Maybe there’s an easy way, but whatever it is, I couldn’t find it. So after probably an hour of frustration trying all the weird different PRNGs, I decided to resort to a super simple old trick. Why do you care about resetting the sequence? Having a seed that you save at the beginning of your program can be super powerful. You can use anything for this seed, like the time or just another random number. From that point on your random numbers will be completely deterministic and depending on the complexity of your program you can simply save the seed and use it again later - causing your program to do exactly the same thing it did last time it had that seed. 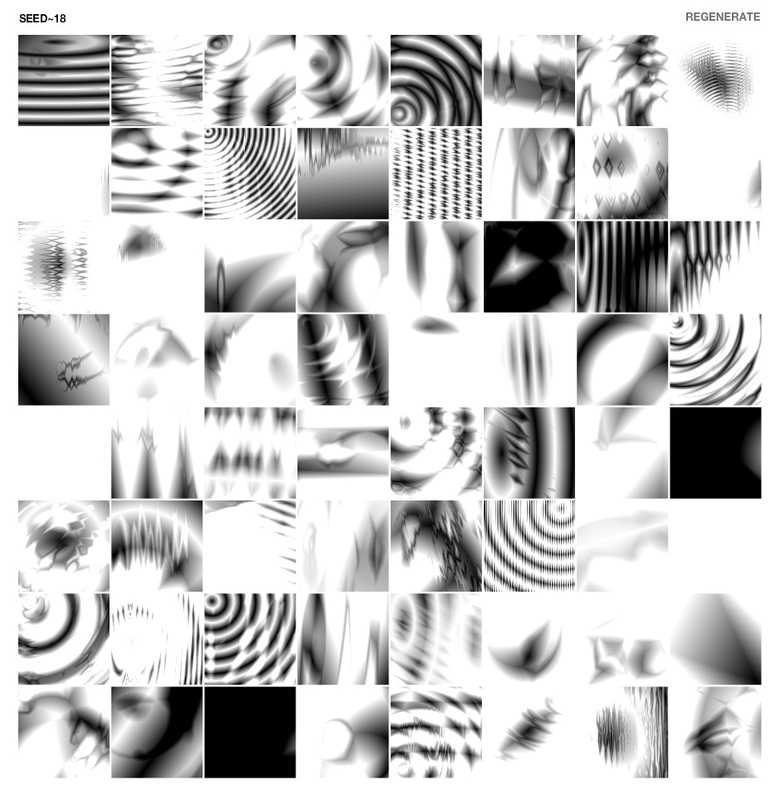 Those of you who dabble with generative artwork are probably familiar with this idea. Those textures will always be the same when the seed is 18. Thats an old experiment from the flash days, I think I used Grant Skinner’s seeded PRNG for that. This code could be improved in a few different ways - but its good enough to illustrate the technique. Lines 1-9 are all you need to have a reproducible random sequence. With a large step value for theta and an even larger coefficient (0xffffff) for sine, you can use modulo to get the range you need (line 30). You can access the old values by passing an index to `idxRand`. This is illustrated in lines 11 through 17 - where we get the first four values and then grab them again using the index argument. This is not the most useful thing in the world - was just an idea I had awhile back… First off, I love Emmet (formerly zen-coding) created by Sergey Chikuyonok. I especially like it for quickly writing html or jsx. See the Pen Emmet as a Template by Zevan Rosser (@ZevanRosser) on CodePen. As you can see - with a few regular expressions you can use Emmet _sort of_ like Jade. Definitely just an experiment, but interesting nevertheless.